This page provides updates on the running/field accomplishments of our athletes who have graduated from Cherokee High School. Please send additional Alumni information to Coach Shaklee. The seasons follow in chronological order. Click on the desired season or on the "most recent entry:"
Details at: SJ Timing. Also, there's a YouTube video at YouTube. 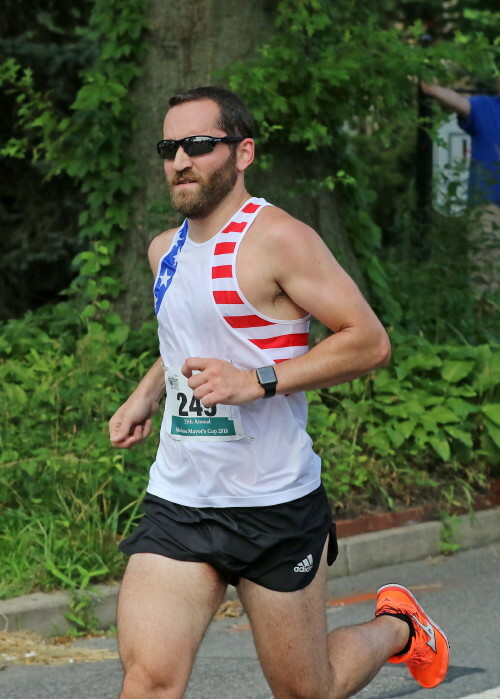 -- On July 4, 2018, Alum Marc Pelerin '00, raced the Haddon Height Firecracker 5K finishing 9th in 18:31. We heard he's training hard so he can lead the Boys A Group at RunningWorks Camp this summer! GO MARC! Results at: Run Sign Up. 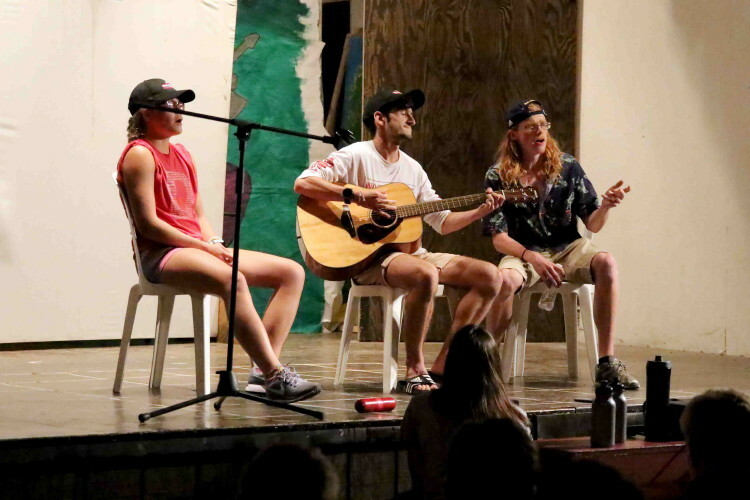 -- During the week of August 13th, 2018, several Cherokee Alums including Mike Zurzolo '17 and Nick Falk '17 worked as counselors at the RunningWorks CC Camp! 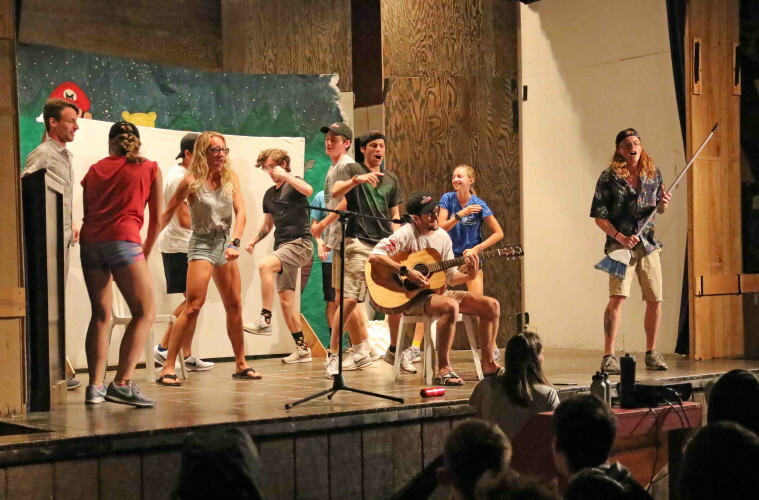 Besides the mundane job of trying to tire-out their groups of teenage runners, they also made a surprise appearance in the Camp's Talent Show! 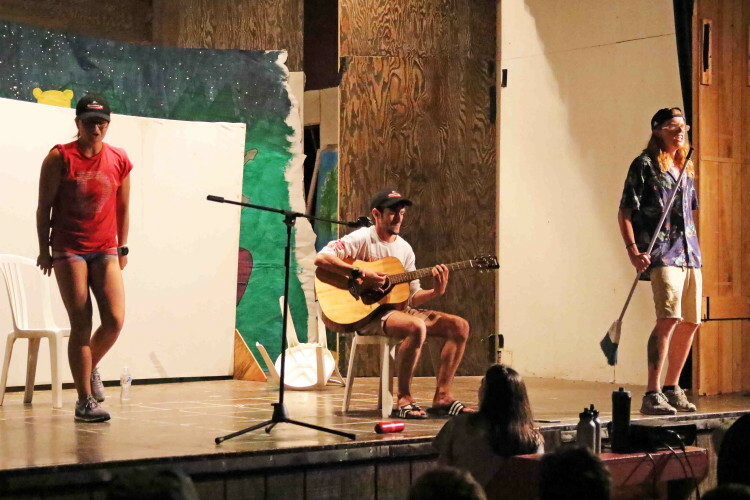 In what could have been a Not-So-Far-Off-Broadway musical number, they wowed the audience but failed to get the needed votes to win the show! Maybe next year?! 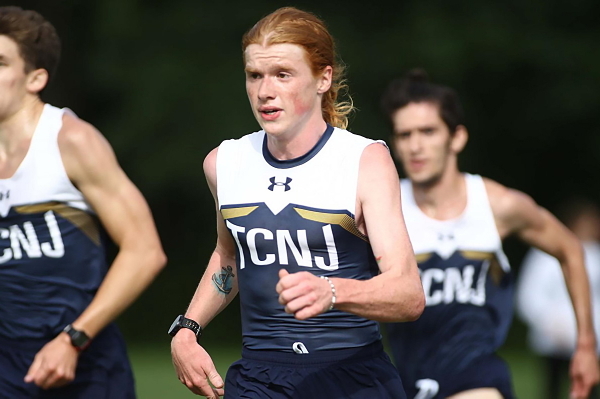 -- On August 26, 2018, Alums Mike Iannotta '18 and Matt Smith '18 of The College of New Jersey, participated in a Cross Country 5K time-trial and both made the team! GO MIKE! GO MATT! -- On September 1, 2018. Alum Brandon Marks '18 of Rensselaer Polytechnic Institute (our reporter thinks colleges/universities/institutes should not be allowed to devise names that even graduate students at other institutions can't spell! ), opened his college running career in a dual-meet against The College of St. Rose, grandly named the St. Rose Invitational. Brandon reported to Coach Shaklee that the meet was being run at threshold pace. Brandon finished the 8K course at The Crossings in Colonie, N.Y with 5 others in a RPI pack in a liesurly 29:24 (pace 5:55), 33rd place. GO BRANDON! Details at: RPI Results. -- On September 1, 2018. Alums Nick Falk '17, Mike Zurzolo '17 and Matt Smith '18, all of TCNJ, participated in the 4K intra-squad Blue/Gold Alumni Invitational at Green Lane Fields in Ewing. Nick finished 2nd in 13:59.20 (5:38 pace); Mike finished 5th in 14:00.0 (5:38 pace); and Matt in 24th at 15:34.80 (6:16 pace)! This was the first college race for Nick and Matt! GO NICK! GO MIKE! GO MATT! Details at: TCNJ Athletics. 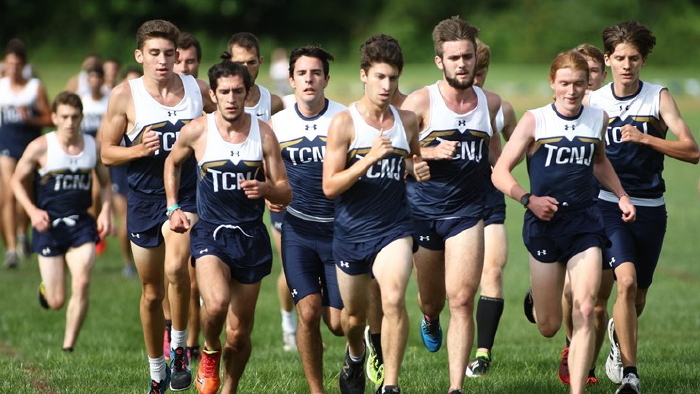 -- On September 13, 2018, Alums Nick Falk '17 and Mike Zurzolo '17 of TCNJ, appeared in a XC promo picture and we thought we'd share it with our followers! 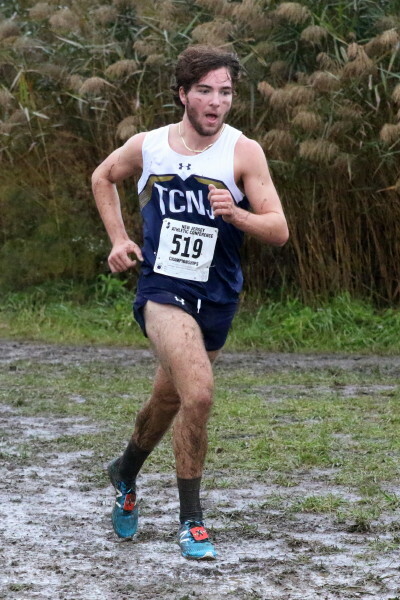 -- On September 15, 2018, Alum Mike Iannotta '18 of TCNJ, opened his college XC career at the Bill Fritz invitational at Dream Park, a new course developed by Rowan University in Gloucester, NJ. Running the 8K, Mike finished in 134th/245 in 30:28.8 (pace 6:08). GO MIKE! Details at: Direct Athletics. -- On September 15, 2018, Alum John Conn '18 of Rowan University, opened his college XC career at the Bill Fritz Invitational on Rowan's new course at Dream Park, Gloucester, NJ. Running the 8K, John finished in 88th/245 in 29:12.4 (pace 5:53). GO JOHN! Details at: Direct Athletics. 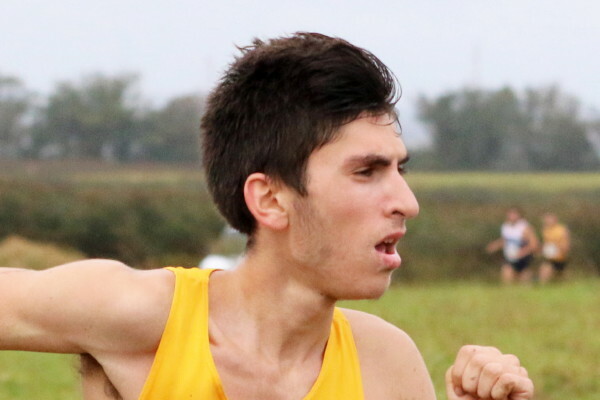 -- On September 15, 2018, Alum Brandon Marks '18 of Rensselaer Polytechnic Institute competed in the 8K Yellowjacket XC Invitational at The University of Rochester where he clocked 28:30.4 (pace 5:45) and finished in 59th/215. Details at: Leone Timing. -- On September 21, 2018, Alum Justin Kelly '18 of Stony Brook University, competed in the Varsity 8K at the Coast-to-Coast Battle in Beantown, an event sponsored by Boston College. 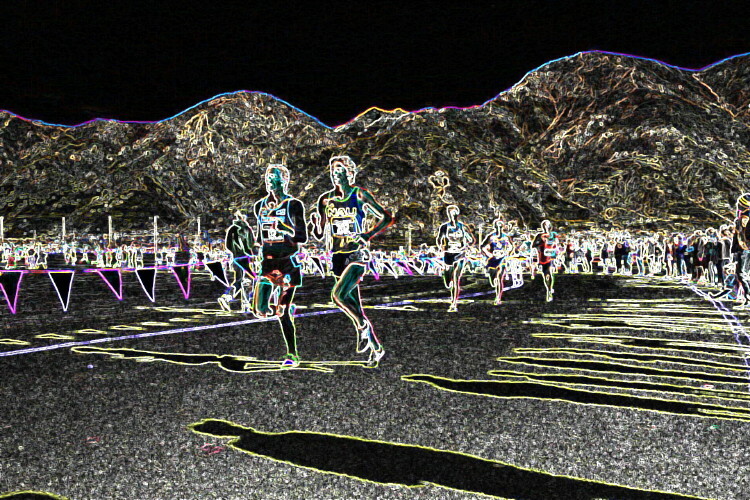 Justin finished 112th/210 in the race, clocking 9:55 at 3.1k, 16:18 at 5k, and finishing in 25:53 (5:13 pace). Justin told Coach Shaklee that he was running with two others on the team when he fell near the 4K mark and was unable to catch his teammates before the finish. Still, he was OK with the race. Details at: Millennium Running. Our crack team of investigators located a picture on the SBU site that "features" Justin in action! ; < ) GO JUSTIN! -- On September 22, 2018, Alums Mike Iannotta '18 and Matt Smith '18 of TCNJ, competed in the Osprey XC Open at Stockton University. 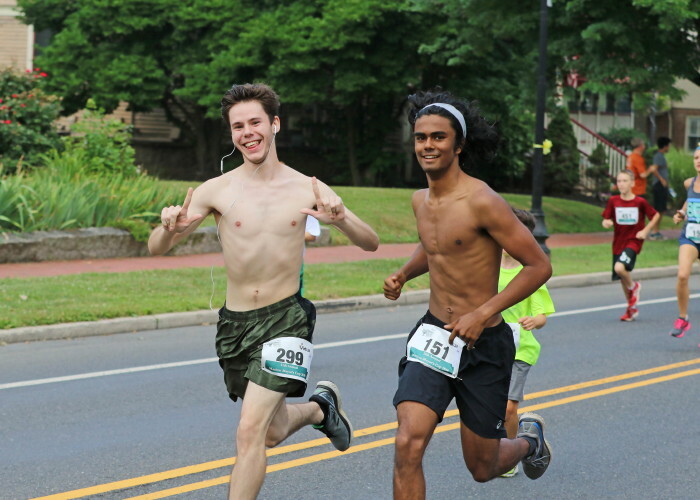 In the 8K race, with 14 teams competing and 112 runners, Mike finished in 32nd place in 29.23.43 (5:55 pace) and Matt (racing his first 8K) finished close behind in 38th place in 29:54.77 (6:01 pace). Both reported to Coach Shaklee that they learned a lot from the experience! Details at: TCNJ Athletics. -- On September 29, 2018. Alums Nick Falk '17 and Mike Zurzolo '17 of TCNJ, traveled to Lehigh University in Bethlehem, PA for the Paul Short Invitational. In the 8K Brown Race, Nick finished 86th/303 but 1st on his team in 26:30 (5:21 pace), and Mike finished 269th/303 in 27:57 (pace 5:38) and last on his team ( WT_ ?! ). Details at: Run High. This picture was featured on the TCNJ site but it is not from Paul Short. BTW, what's with the anchor tatoo? The closest he ever got to water was a rowboat on Marlton Lakes! 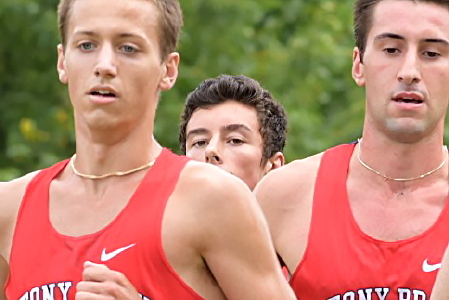 -- On September 29, 2018, Alum Brandon Marks '18 of Rensselaer Polytechnic Institute, competed in the 8K Saratoga Cross Country Invitational hosted by RPI at Saratoga Spa State Park in Saratoga Springs, NY. Brandon clocked 28:12.0 (pace 5:41) and finished in 132nd/240. Details at: RPI Athletics. -- On October 6, 2018, Alums Mike Iannotta '18 and Matt Smith '18 of TCNJ, traveled to the NJ Institute of Technology's Highlander Challenge at Branch Brook Park in Newark, NJ. Competing against 237 in the DIV 2/3 race, Mike finished 49th/239 in the Div 2/3 race while clocking 28:24 (pace 5:43); and Matt finished in 57th in 28:37 (pace 5:45). Their team finished 4th/31 teams. Details at: NJIT. 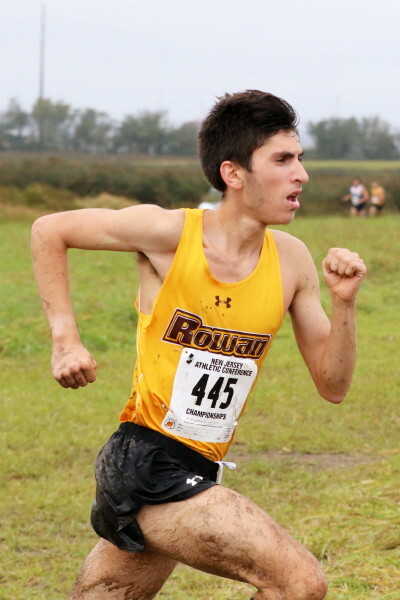 -- On October 13, 2018, Alum John Conn '18 of Rowan University, stayed at home and competed in the Rowan Inter-Regional Border Battle where he finished the 8K Open Race in 48th/214 while clocking 27.50.9 (pace: 5:37). Details at: Pioneer Timing. -- On October 13, 2018. 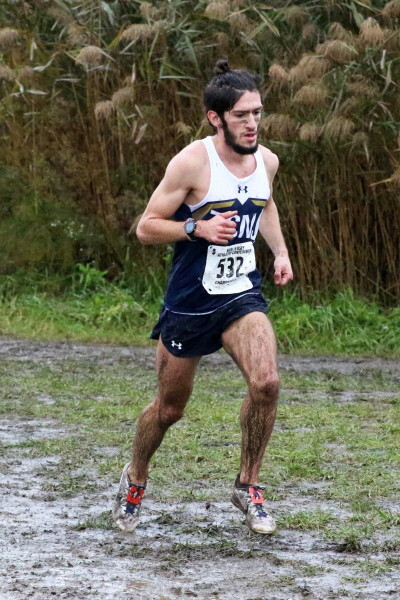 Alum Mike Zurzolo '17 of TCNJ, traveled to Harkness Memorial State Park in Waterford, CT for the 8K Connecticut College Cross Country Invitational where he finished 287th/402 in 28:19.2 (5:42 pace). His team finished 16th/27 teams. Details at: Direct Athletics. 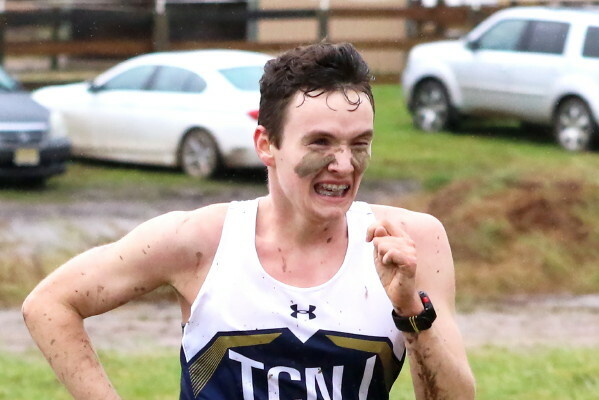 -- On October 13, 2018, Alum Jack Shea '17 of Northern Arizona University, returned to Madison, Wisconsin to compete in the 8K 2018 Wisconsin Cross Country Pre-Nationals at the Thomas Zimmer Championship Cross Country Course. Jack finished 24th/77 in the unseeded Grey race, clocking what must have been for him a disappointing 25.38 (pace: 5:10) -- he ran a little more than a minute faster on the same course a few weeks ago! Details at: Amazon. -- On October 20, 2018, Alum Jack Shea '17 of Northern Arizona University, traveled to the Benedictine University in Mesa/Gilbert, Arizona for the 2nd Annual Redhawk Invitational. 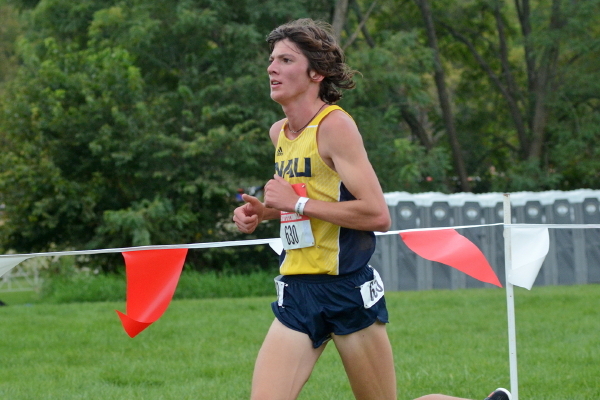 Jack captured his first collegiate XC win as he led the NAU Lumberjacks to a 1 through 5 sweep in the men's race. Jack completed the unusual 5.23-mile course (a little over 8K) in 25:52.3 (4:57 pace)! Official Results at: TFRRS. -- On October 22, 2018, Alum Jack Shea '17 of Northern Arizona University, was chosen the NCAA Division I National Male Athlete of the Week by the US Track & Field and Cross Country Coaches' Association, the first NAU Lumberjack to be chosen for the award during the Cross Country season! The NAU website summarizes Jack's qualifications for the award at: NAU Athletics. The article is also copied on our website at: Athlete of the Week. Also, the original USTFCCCA article is at: USTFCCCA. Picture borrowed from the NAU website. -- On October 27, 2018, Alums Nick Falk '17, Mike Zurzolo '17, Mike Iannotta '18, and Matt Smith '18 of TCNJ, and Jon Conn '18 of Rowan University competed in this season's nastiest weather -- cold, windy and rainy! -- at the ironically-named Dream Park, in the New Jersey Athletic Conference Championships and Coach Shaklee and the team's photographer joined the fun! 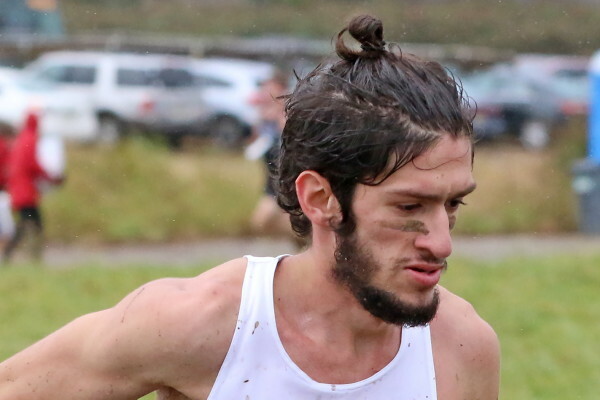 Times were irrelevant because of the weather but Nick Falk impressed many of the on-lookers as he raced to a 3rd place finish -- 26:34.52 (pace 5:21) in the race! That said, everyone watching appreciated the extraordinary effort needed just to complete the race! Jon Conn finished in 36th, clocking an impressive 28:06.63 (5:40 pace); Mike Zurzolo took 63rd in 29:45.49 (6:00 pace); Matt Smith was right behind him in 64th, clocking 29:47.86 (6:00 pace); and Mike Iannotta finished in 72nd, clocking 30:19.99 (6:07 pace). There were 110 who finished the race! Complete results at: NJ.MileSplit. The final picture is from the TCNJ website. 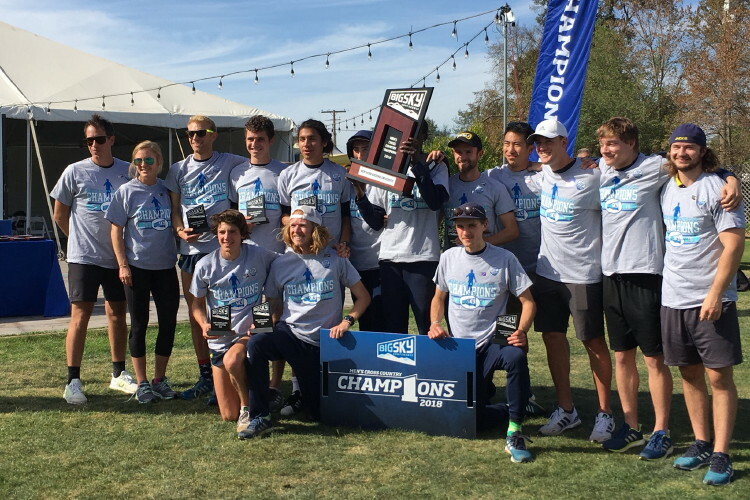 -- On October 27, 2018, Alum Jack Shea '17 of Northern Arizona University, traveled to Sacramento, California for the 11-team, 8K Big Sky Conference Cross Country Championships. Jack finished 33rd/82 in the race (7th on the team) in 25:00.9 (5:02 pace) as the team won the conference championship for the 3rd year in a row! Further details at: Runner Space. Picture from NAU website. 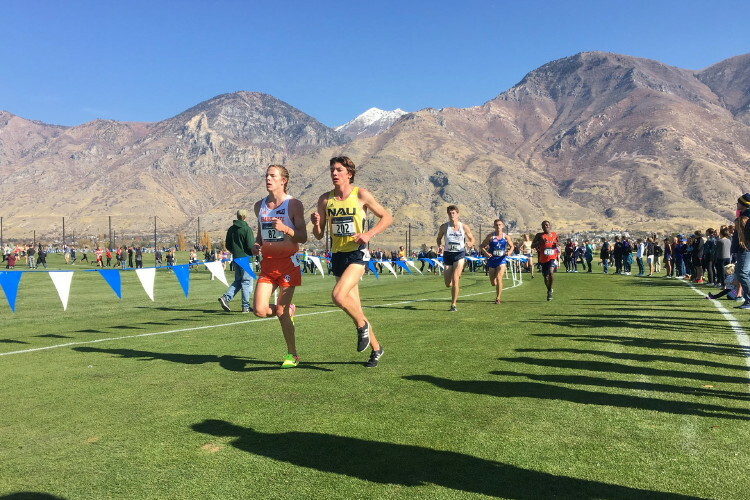 -- On November 9, 2018, Alum Jack Shea '17 of Northern Arizona University, traveled to Provo, Utah for the Mountain Regionional Championships! The event was held at East Bay Golf Course in Provo, hosted by BYU. Jack finished the 17-team 10K race in 30:25.2 (4:54 pace), 6th on his team, in 41st place! 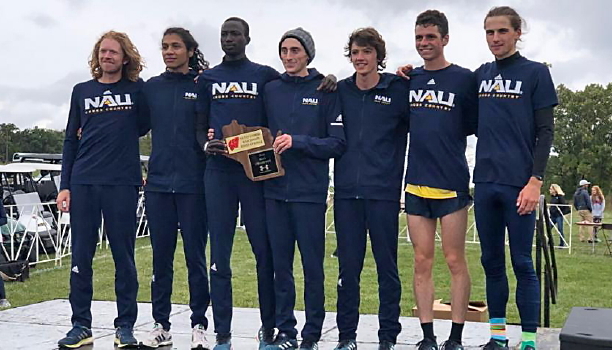 The meet was not the usual run-away for NAU -- the coach held out two of his top-5 runners -- and The Lumberjacks (we call them "the Jacks" in honor of our Alum!) scored 42 points with BYU only 14 points behind with 56! Still, it was the 3rd straight NCAA Mountain Regional title for NAU and they advanced to Nationals next week! Details at: TFRRS. Picture from NAU website. The second edited version by our photographer is posted because, while he was very impressed by the original, he just wanted to play around! 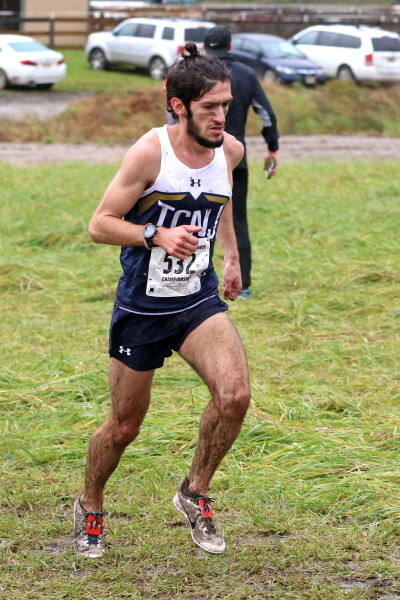 -- On November 10, 2018, Alum Nick Falk '17 of TCNJ, returned to Rowan's home course at Dream Park for the NCAA DIV III Atlantic Regional Cross Country Championships. 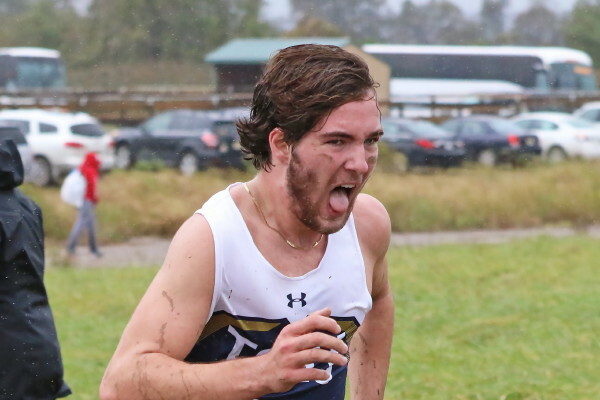 Several weeks ago, Nick raced well (in strong winds, cold temperatures and pouring rain) on the same 8K course in the Conference Championships, finishing 1st and leading his team to victory but the same did not happen this time. The weather was rough -- windy and cold -- and the course was a mess, because it rained heavily the night before, but this time Nick finished 5th on his team, crossing the line in 28:04.1 (pace 5:39). The team finished a disappointing 13th out of 45 teams in the race. Details at: TCNJ Athletics. 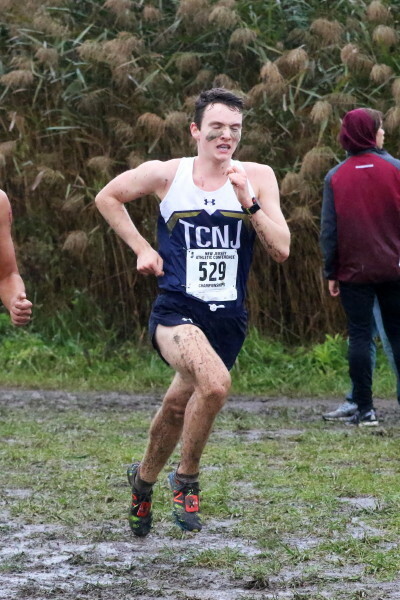 -- On December 1, 2018, the earliest that universities can participate in official indoor events, Alum Daulton Hopkins '16 of TCNJ, competed in the TCNJ Indoor Open at the New Balance T & F Center (AKA, The Armory) in New York City. Daulton raced the 60m Dash, clocking 7.30 and finishing 20th/60 overall; and the 300m Dash, clocking 37.03 and finishing 14th/66 overall. Details at: TCNJ Athletics. This picture accompanied the report on the TCNJ website: it may be current or a file picture. -- On December 1, 2018, Alum Jordan Aughenbaugh '14 of Stockton University, traveled to the Ocean Breeze Complex on Staten Island, NY for the Fastrack Metro Season Opener. Jordan raced in the 500m Dash, clocking 1:12.01, finishing 2nd in his heat, 17th/30 overall; and the 4 X 400m Relay that clocked 3:43.28 and finished 7th in the heat, 14th/18 overall. Details at: Direct Athletics. We lifted this outdoor file picture from the Stockton site. -- On December 1, 2018, Alum Kevin Milligan '18 of Xavier University (Cincinnati, Ohio), opened his first college Indoor season at Purdue's Hilliard Gates Center in the Mastodon Open. Kevin raced the 300m Dash, finishing 2nd in his heat, 6th/14 overall in 37.05; and in the 4 X 400m Relay (second leg), where his team finished 1st/3 overall in 3:28.37. Details at: Direct Athletics. -- On December 8, 2018. Alum Brandon Marks '18 of Rensselaer Polytechnic Institute, opened both his first college Indoor season and the new Hutton Center at Utica College in the Utica College Pioneer Winter Classic! Brandon competed in the 3K, finishing 8th/19 overall in 9:16.05 (4:58 pace). Details at: Leone Timing. 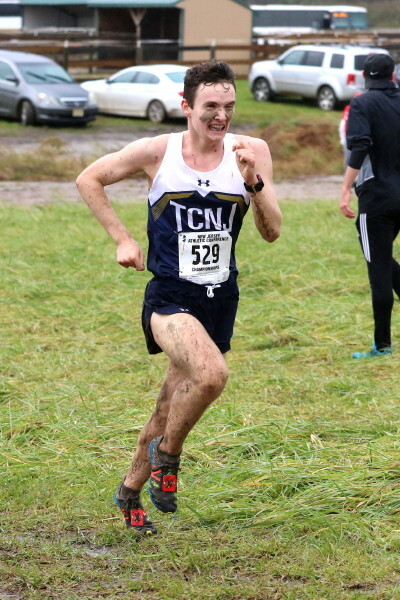 -- On December 8, 2018, Alum Daulton Hopkins '16 of TCNJ, traveled to nearby Princeton University for their New Year's Invitational. Daulton competed in the 60m Dash where he finished 3rd in his heat, 22nd/34 overall in 7.33; and in the 200m Dash where he finished 1st in his heat, 13th/35 overall in 23.65. Details at: Leone Timing. -- On January 11, 2019, Alum Kevin Milligan '18 of Xavier University (Cincinnati, Ohio), traveled to Lexington, KY for the Jim Green Track and Field Invitational. Kevin competed in the 200m Dash, finishing 4th/4 in his heat, 35th/40 overall in 23.26; and the 400m Dash, finishing 4th/4 in his heat, 27th/40 overall in 50.62. Details at: Direct Athletics. -- On January 11, 2019, Alums Matt Smith '18 and Mike Iannotta of TCNJ, traveled to the Armory in New York City for the Ramapo Season Opener where Matt raced his first college 5K in 16:55.53 5:27 pace), and Mike raced his first college 800m in 2:06.94. Details at: Armory. -- On January 12, 2019, Alum Jordan Aughenbaugh '14 of Stockton University, traveled to the Armory in New York City for the TCNJ Lions Indoor Invitational. Jordan competed in the 500m Dash, finishing 14th/20 in 1:12.71, and the 4 X 400m Relay, where his team finished 7th/11 in 3:40.82. Details at: Armory. -- On January 12, 2019, Alum Mike Zurzolo '17 and Daulton Hopkins '16 of TCNJ, hosted the TCNJ Lions Indoor Invitational at the Armory in NY City. Mike raced the 3K, finishing 11th/23 in 9:15.22; and Daulton raced the 200m Dash, finishing 20th/41 in 23.35, and the 60m Dash, finishing 16/37 in 7.29. Details at: Armory. -- On January 18, 2019, Alum Jack Shea '17 of Northern Arizona University, stayed at home for the Lumberjack Team Challenge. Jack raced both the Mile, clocking 4:31.19 and finishing 11th/20 overall; and the 3K, clocking 8:53.31 (4:47 pace) and finishing 6th/20 overall. Details at: Sidearm. -- On January 18, 2019, Alums Mike Zurzolo '17 and Daulton Hopkins '16 of TCNJ, traveled to the Ocean Breeze Complex on Staten Island, NYC for the NYC Gotham Cup. Mike raced the Mile in 4:31.81, winning his heat and finishing 15th/70 overall in the event! Daulton raced the 60m Dash in 7.42, finishing 48th/82, and the 200m Dash in 23.98, finishing 62nd/77 overall. Details at: Direct Athletics. 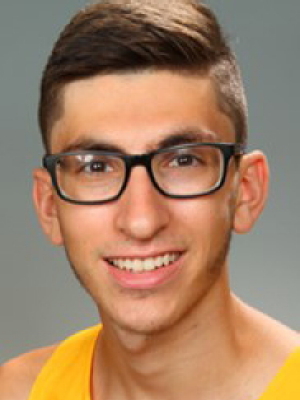 -- On January 19, 2019, Alum Mike Iannotta '18 of TCNJ, traveled to Ursinus College for the Collegeville Classic where he ran the Mile in 4:53.39 and finished 24th/46 overall. Details at: Sidearm. 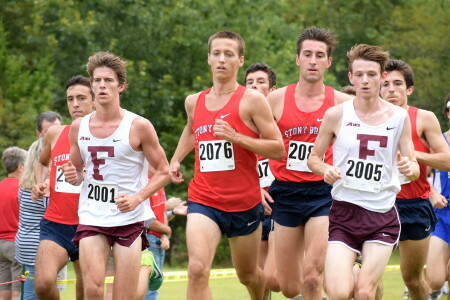 -- On January 25, 2019, Alum Justin Kelly '18 of Stony Brook University, opened his college track career at Boston University's John Thomas Terrier Classic. Justin raced the 3K in 8:41.48 (4:39 pace), finishing 4th in his heat, 58th/110 overall! Details at: Direct Athletics. 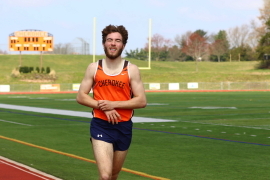 -- On January 26, 2019, Alum Daulton Hopkins '16 of TCNJ, competed in the Bison Open at Bucknell University. Daulton raced the 60m Dash in 7.52, finishing 31st/54 overall; and the 200m Dash in 23.93, finishing 24th/54. Details at: TCNJ Athletics. -- On January 26, 2019, Alum Brandon Marks '18 of Rensselaer Polytechnic Institute, returned to Utica College a second time this season for the Utica College Pioneer Open. Brandon raced the 3K, finishing 8th/25 overall in 9:17.73 (4:59 pace). Details at: Direct Athletics. -- On February 1 - 2, 2019, Alum Jack Shea '17 of Northern Arizona University, stayed at home for the Mountain T's Invitational. Jack raced the Mile on Feb 1st, finishing 8th/26 in 4:23.20. On February 2, Jack raced the 3K, finishing 3rd/28 in 8:41.57! FYI, both of these times are "altitude adjusted" in Jack's favor as the oxygen at altitude makes it much harder to run! The NCAA uses a formula to determine the conversion but it is different for different sites. Can't find the Flagstaff conversion but NAU is at 6,950 feet above sea level. Colorado Springs, Colarado is at 6,000 feet and their conversion is - 18.97 seconds for the 3K, -32.76 for the 5K, and -81.63 for the 10K. Gunnison, Colorado is at 7,700 feet and their conversions are - 28.54 seconds for the 3K, - 48.98 for the 5K, and 122.21 seconds for the 10K. Figure it out, you math majors! Meet details at: Sidearm. 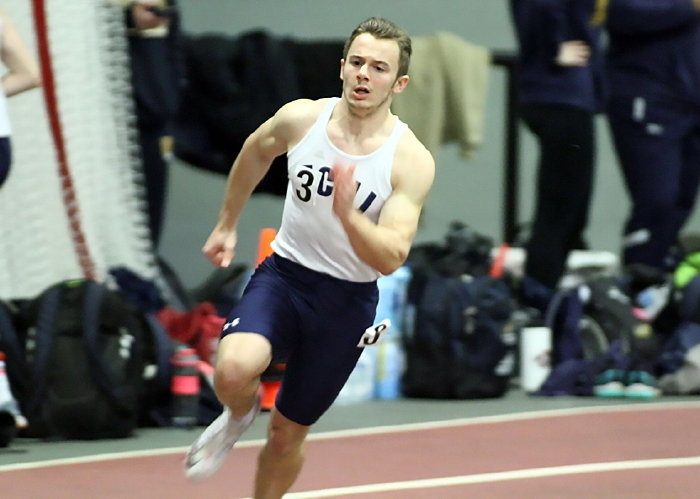 -- On February 1, 2019, Alum Jordan Aughenbaugh '14 of Stockton University, returned to the Armory in New York City for the NYC DIII Invitational. Jordan raced the 400m Dash in 55.91, finishing 44th/63 overall. Details at: TFRRS. -- On February 1, 2019, Alums Daulton Hopkins '16, Matt Smith '18, Mike Iannotta '18 and Mike Zurzolo '17 of TCNJ, traveled to the near-by Lawrenceville School for the 2019 TCNJ Vs Rider Dual Meet. Daulton competed in 200m Dash where he finished 8th/13 overall in 23.45. Matt and Mike Zurzolo competed in the 3K where Matt finished 10th/11 overall in 9:44.65 (5:14 pace), and Mike finished 4th/11 overall in 9:10.81 (4:56 pace). Mike Iannotta competed in the Mile where he finished 1st in his heat, 5th/10 overall in 4:39.62. Details at: Tumey Timing. 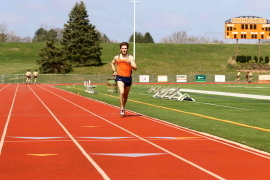 -- On February 2, 2019, Alum Brandon Marks '18 of Rensselaer Polytechnic Institute, returned to Utica College a third time this season for the Utica College Blue and Orange Invitational where he raced the 5K in 16:15.32 (5:14 pace), finishing 11/24 overall. Details at: Direct Athletics. 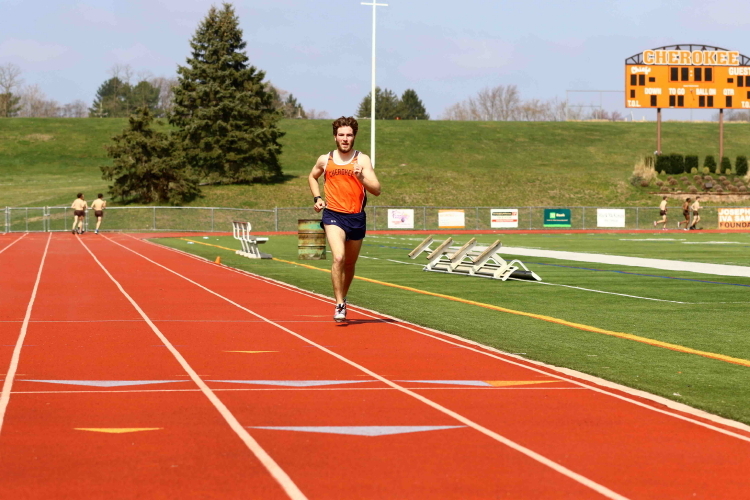 -- On February 8, 2019, Alum Jack Shea '17 of Northern Arizona University, traveled to Ames, Iowa for the 2019 Iowa State Classic where he raced the 5K, finishing in 27th/68 overall in 14:17.62 (4:36 pace)! Details at: Sidearm. Addendum: the Twitter page for NAU Track has a short video showing a few team members doing an "airport run" while they endure a 30-hr delay at the Des Moines Airport! -- On February 8, 2019, Alum Justin Kelly '18 of Stony Brook University, traveled to the Ocean Breeze Sports Complex where he raced the Mile at the Fastrack National Invitational. Justin finished 18th/26 overall in 4:23.59. Details at: Direct Athletics. -- On February 9, 2019, Alums Mike Zurzolo '17 and Daulton Hopkins '16 of TCNJ, traveled to the Boston, Mass for the 2019 BU David Hemery Valentine Invitational. 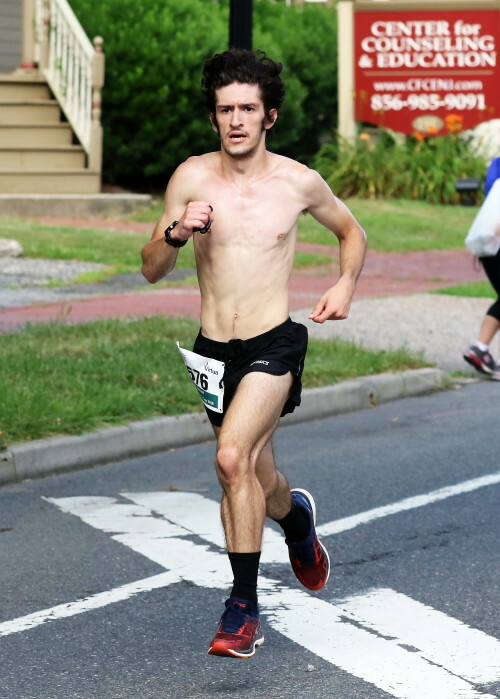 Mike raced the Mile in 4:24.57, finishing 174th/293 overall (really, only 293 milers?!). Daulton raced the 60m Dash in 7.40, finishing 29/43 overall; the 200m Dash in 23.26, finishing 141st/253 overall; and he anchored the 4 X 400m Relay that finished 42nd/54 overall in 3:27.79. Results at: Lancer Timing. -- On February 16, 2019, Alum Brandon Marks '18 of Rensselaer Polytechnic Institute, traveled to Middlebury, Vermont for the Middlebury Team Challenge. Brandon raced the 3K in 9:10.10 (4:55 pace), finishing 5th/11 overall. Details at: TFRRS. -- On February 18, 2019, Alums Daulton Hopkins '16, Mike Zurzolo '17, Mike Iannotta '18, and Nick Falk, all of TCNJ, competed in the NJAC Indoor Championships at the Ocean Breeze Athletic Complex. Daulton was the busiest as he competed in three events! In the 60m Dash, he finished 12th/25 overall in 7.30; in the 200m Dash, he finished in 13th/27 overall in 23.40; and in the lead-off position of the 4 X 200m Relay, his team finished 4th/9 overall in 1:32.63! Mike Zurzolo raced the 3K in 9:04.42 (official 1600 in 5:51), finishing 7th/15 overall; Mike Iannotta anchored the 4 X 800m Relay that finished in 4th/8 overall while clocking 8:13.08. The official results indicate that the anchor man clocked 2:01.8, which would be a significant PR for Mike! Finally, Nick Falk made his Indoor debut by anchoring the winning DMR that finished in 10:44. Official results indicate that Nick finished the race in 4:31.9! Results at: Ocean Breeze Athletic Complex. 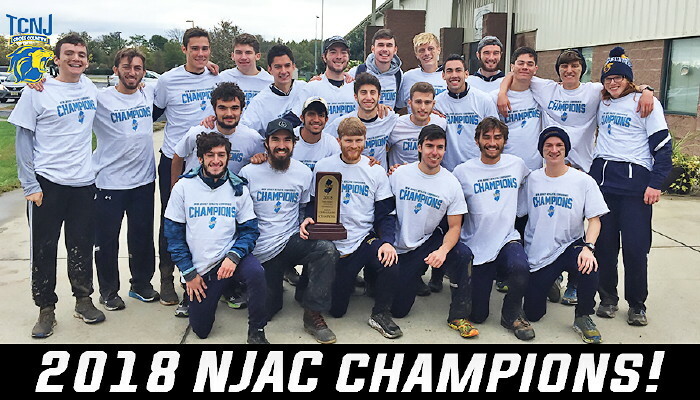 -- On February 18, 2019, Alum Jordan Aughenbaugh '14 of Stockton University, competed in the NJAC Indoor Championships at the Ocean Breeze Athletic Complex. Jordan raced the 500m Dash, finishing in 14th/18 overall in 1:12.4. Results at: Ocean Breeze Athletic Complex. -- On February 23, 2019, Alum Justin Kelly '18 of Stony Brook University, competed in the America East Indoor Conference Championships at Boston University's Track and Tennis Center. Justin raced the 3K in 8:30.03, finishing 13th/39 overall (just 3 seconds off the qualifying time for up-coming IC4A/ECAC Championships)! This 3K time converts to a 9:08 for the 3200m, a nice improvement for Justin! Details at: TFRRS. 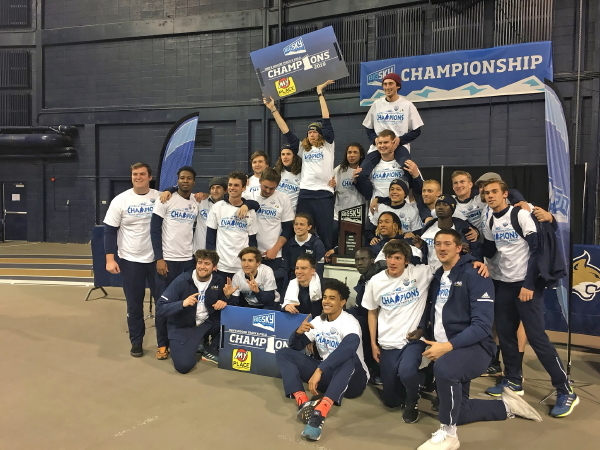 -- On February 22, 2019, Alum Jack Shea '17 of Northern Arizona University, traveled to Bozeman, Montana for the Big Sky Indoor Conference Championships, a meet the team website reports as their 21st conference victory, and their 8th straight! Jack raced the 3K, finishing 4th/30 overall in 8:35.33. Details at: NAU Athletics. Saw a couple pics on NAU site. First is Jack's new mug shot . . . did he just get out of bed? Someone send him a comb! Second, the Conference champs, anyone see Jack? 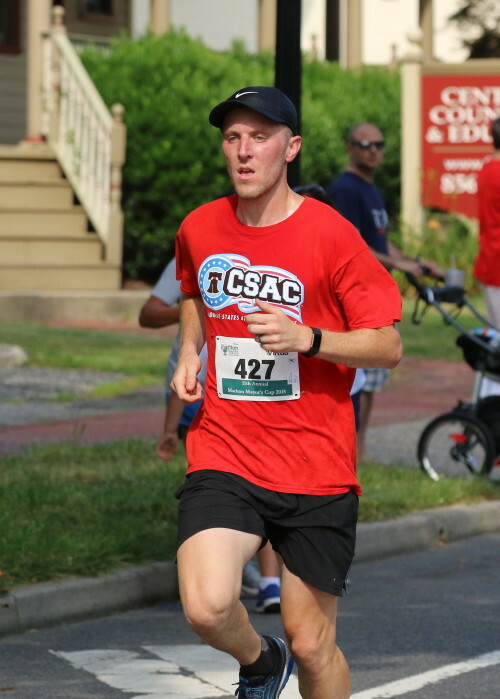 -- On March 16, 2019, Alum Kevin Schickling '08, teacher and XC/Track coach at Jackson Memorial High School, kept-up a long-standing tradition and raced the Adrenaline 5K in Haddonfield, NJ. Kevin finished in 84th place while clocking 18:05 (5:48 pace). Further details at: Run Sign-up. Results are hard to find: at the top, click on "More" for the result page! 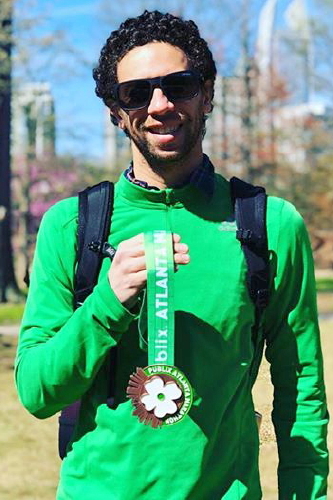 -- On March 17, 2019, Alum Marc Pelerin '00, teacher and blogger Train With Marc, competed in his first marathon and learned a few lessons about marathons! He chose the Alanta Marathon where he, perhaps, learned a little about the difference in altitude between New Jersey and Atlanta, Georgia, and a lot about hilly marathons and the last 4 or 5 miles of a marathon! Marc finished in 57th place overall and clocked 3:14.55. His saga is reported in his blog and race details and lots of Pelly-pics are available at: Atlanta Track Club. His race number was 11857. This picture was gleaned from Marc's blog. -- On March 23, 2019, Alum Justin Kelly '18 of Stony Brook University, stayed at home for the delightfully named Stony Brook University Snow Flake Spring Opener, a relatively small meet with Stony Brook taking on Fordham, Iona and Hofstra. Justin competed in the 1500m Run where he took 5th in the event, finishing way under 4:00 with a 3:59.59! Translated casually into a mile time, add about 17 seconds for a PR of 4:16 or so! A nice start for the Spring season! Details at: TFRRS. 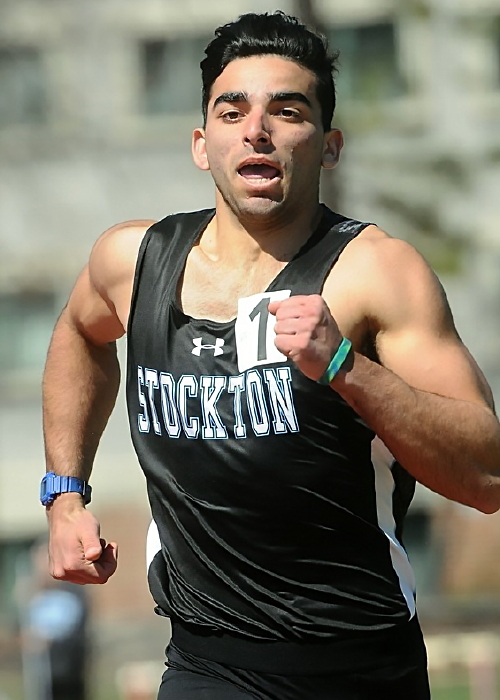 -- On March 23, 2019, Alum Jordan Aughenbaugh '14 of Stockton University, stayed at home for a windy Stockton Invitational. Jordan competed in the Javelin where he finished 4th with a throw of 46.92m (154'). Details at: Stockton Athletics. -- On March 23, 2019, Alum Kevin Milligan '18 of Xavier University (Cincinnati, Ohio), traveled to Miami University in Oxford, Ohio for their Blizzard Buster. Kevin raced the 400m Dash, finishing 8th/28 overall, in 50.61; and the 200m Dash, finishing 13th/22 overall, in 23.13. Details at: Go Xavier. 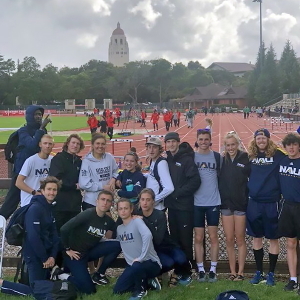 -- On March 29, 2019, Alum Jack Shea '17 of Northern Arizona University, traveled to Stanford University in California for the 44th Annual Stanford Invitational. 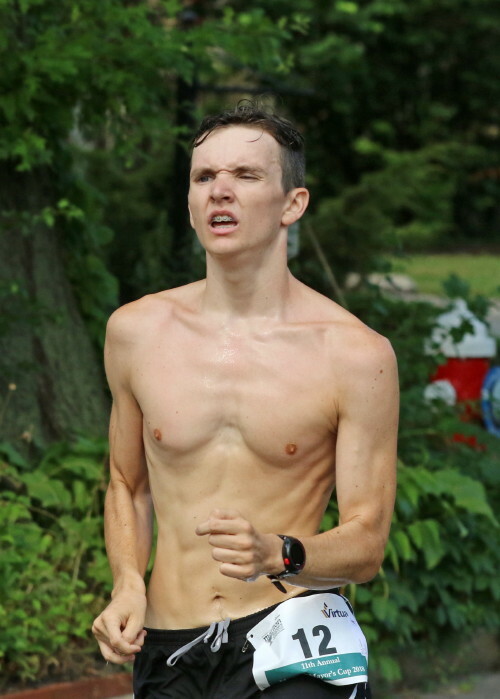 Jack raced the 5K, finishing 16th/26 in Section 3, while clocking 14:32.48 (4:41 pace). Details at: Record Timing. NAU's Twitter account posted this early pic of the squad. There's Jack, way over on the . . .! 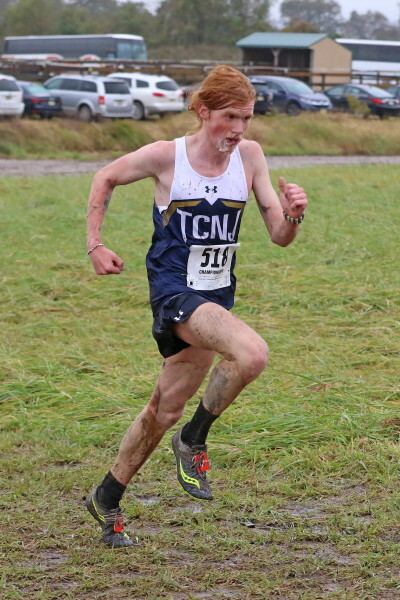 -- On March 29, 2019, Alum Matt Smith '18 of TCNJ, traveled to Widener University in Chester, PA for the Danny Curran Invitational. One Day 1 of the event, Matt raced the always-fun-on-the-track 10K in 34:45.76 (pace: 5:36), finishing 34th/44 overall. Jon Conn '18 of Rowan was also in the race but DNF. Details at: Rowan Athletics. -- On March 30, 2019, Alum Brandon Marks '18 of Rensselaer Polytechnic Institute, traveled to Medford, MA for the Tufts University Snonflake Classic. Brandon raced the 5K, finishing 15th/32 overall in 16:43.01 (5:23 oace). Details at: Go Tufts. 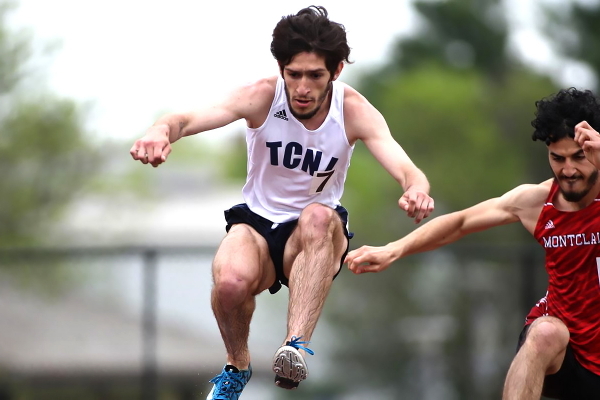 -- On March 30, 2019, Alum Daulton Hopkins '16 of TCNJ, competed in Day 2 of the Danny Curren Invitational at Widener University. Daulton raced the 100m Dash, finishing 35th/88 overall in 11.68; and the 200m Dash, finishing 54th/119 overall in 23.81. Details at: Pioneer Timing. -- On March 30, 2019, Alum Matt Gross '16 of Rutgers University-Camden, won the Javelin at the Danny Curren Invitational at Widener University! Matt threw 59.81m (196' 3") on his second throw to win the event over 29 others! Details at: Scarlet Raptors. Picture is an archive pic from Rutgers. -- On March 30, 2019, Alum Kevin Milligan '18 of Xavier University (Cincinnati, Ohio), traveled to N.C. State University for the Raleigh Relays. Kevin raced the 400m Dash, finishing 40th/68 overall, in 50.23. This is a college PR but, for the record, Kevin clocked a 49.79 at Sectionals last year and we expect he'll better that by the end of the season! Details at: Go Xavier. Caught this mug shot on Xavier's website! -- On April 6, 2019, Alum Brandon Marks '18 of Rensselaer Polytechnic Institute, traveled to MIT in Cambridge, Massachusetts for the Bates, MIT, RPI, Tufts Quad Meet. Brandon raced the 1500m and finished 16th/25 overall in 4:14.34. Details at: TFRRS. 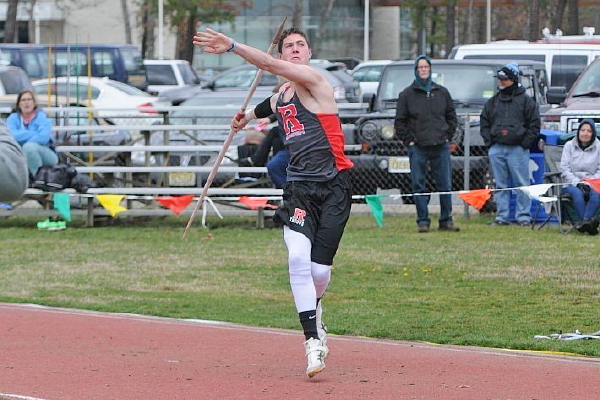 -- On April 6, 2019, Alum Matt Gross '16 of Rutgers University-Camden, threw the Javelin at Rowan University in the Oscar Moore Invitational. Matt finished 2nd/13 overall with a toss of 55.73m (183' 0"). TFRRS. 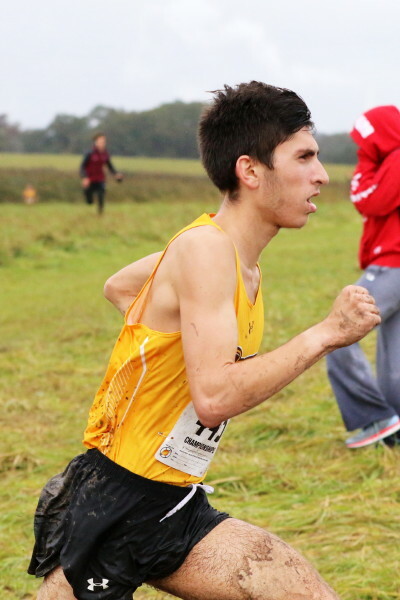 -- On April 6, 2019, Alum Jon Conn '18 of Rowan University, stayed at home for the Oscar Moore Invitational. John raced the 3K and finished 9th/15 overall in 9:45.62 (5:13 pace). Details at: TFRRS. -- On April 6, 2019, Alum Justin Kelly '18 of Stony Brook University, traveled to William and Mary College in Williamsburg, VA for the Colonial Relays. Justin anchored the DMR and, while the team was officially DQ'd, Justin reported to Coach Shaklee that he clocked around 4:13. Meet details at: TFRRS. -- On April 6, 2019, Alum Nick Falk '17 of TCNJ, traveled to William and Mary, Williamsburg, VA for the Colonial Relays. Nick competed in the 5000m Championship Run but finished 54th/59 overall in a disappointing 15:33.95 (5:01 pace). Details at: TFRRS. -- On April 6, 2019, Alums Mike Zurzolo '17, Daulton Hopkins '16 and Stephen Huber '16 of TCNJ, stayed at home for the TCNJ Invitational. Mike competed in the 3K, finishing 2nd/46 overall in 9:01.38 (4:51 pace)! Daulton raced the 100m Dash in 11.72, finishing 30th/95 overall; and the 200m Dash, finishing 43rd/115 overall in 23.91. Stephen finished 4th/22 overall in the Javelin, throwing it 48.63m (159' 6"). Details at: TFRRS. 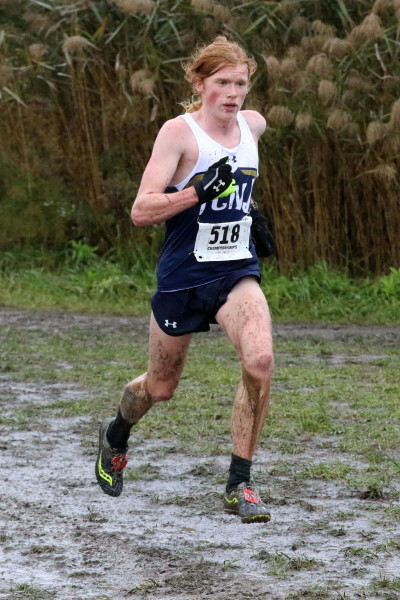 -- On April 6, 2019, Alum Kevin Milligan '18 of Xavier University (Cincinnati, Ohio), traveled to the University of Cincinnati for the Oliver Nikoloff Invitational. He competed in the Open 400m Dash, finishing 15th/27 overall in 50.50; and he anchored the 4 X 400m Relay that finished 4th/9 overall in 3:19.09. Details at: TFRRS. -- On April 6, 2019, Alum Mike Iannotta '18 of TCNJ, missed today's home meet at TCNJ because of a family wedding but ran a 1500m Time-Trial on Cherokee's Track. 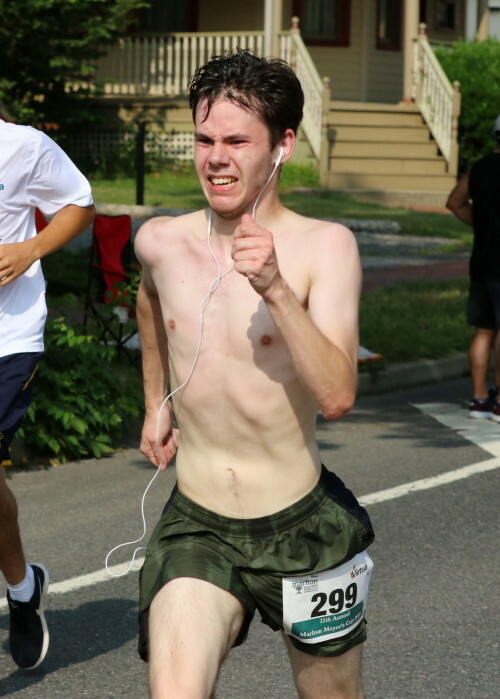 Our photographer was there for the distance team's scheduled Time Trial and caught Mike in action. -- On April 12, 2019, Alum Matt Gross '16 of Rutgers University-Camden, traveled to Moravian University in Bethlehem, PA for the Coach pollard Invitational. Jeff threw the Javelin 59.04m (177' 03") to finish 12th/53 overall. Details at: TFRRS. 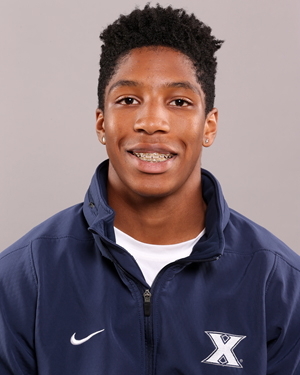 -- On April 12 - 13, 2019, Alum Jordan Aughenbaugh '14 of Stockton University, stayed at home for the Osprey Open where he competed in three events! In the 100m Dash, Jordan placed 30th/44 overall in 12.30; in the High Jump, he cleared 1.73m (5' 7.75") to finish 16th/17 overall; and in the Javelin, he threw it 42.30m (138' 9") and finished 13th/23 overall. Details at: TFRRS. -- On April 12, 2019, Alums Mike Zurzolo '17, Daulton Hopkins '16 and Mike Iannotta '18 of TCNJ, competed in the Hopkins/Loyola Invitational. Mike Zurzolo raced the 3000m Steeplechase and finished in 2nd/10 overall in 9:46.60; Daulton raced the 100m Dash in 11.64 and finished 19th/25 overall, and the 200m Dash in 23.71, finishing 13th/23 overall; and Mike Iannotta raced the 1500m in 4:17.93, finishing 15th/33 overall. Details at: Lexicon Timing. 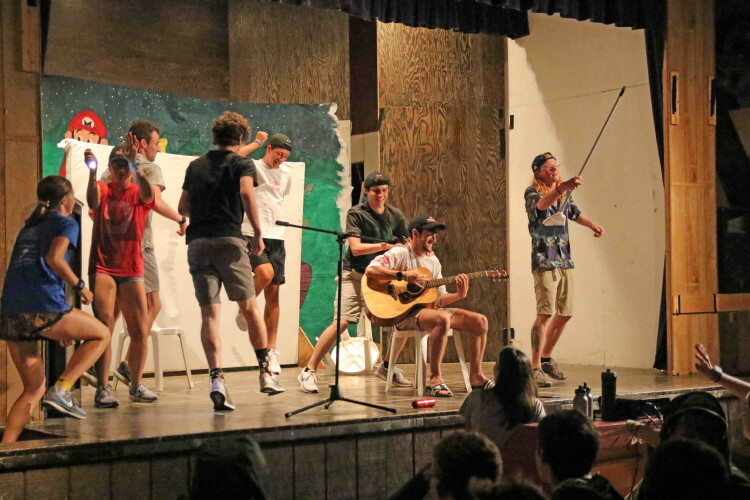 This picture appeared in the TCNJ article on the event. -- On April 12, 2019, Alum Kevin Milligan '18 of Xavier University (Cincinnati, Ohio), traveled to the Muncie, Indiana for the Ball State Challenge. Kevin raced the 200m Dash in 23.01, finishing 25th/35 overall. He was scheduled to compete in the 400m Dash and the 4 X 400m Relay but DNS in either. Detials at: TFRRS. 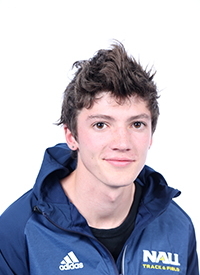 -- On April 18, 2019, Alum Jack Shea '17 of Northern Arizona University, traveled to Azusa Pacific University in Azusa, California for the Bryan Clay Invitational. Competing in the Heat 3 of the 5K, Jack finished 21st/31 overall in 14:38 (4:43 pace), about 30 seconds off his PR run at the same meet last year. Details at: TFRRS. 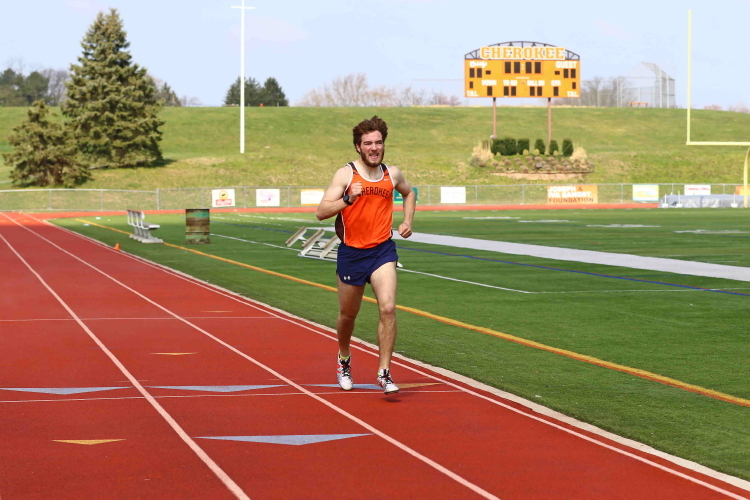 -- On April 18, 2019, Alum Jon Conn '18 of Rowan University, traveled to Chester, PA. for the Widener Invitational. 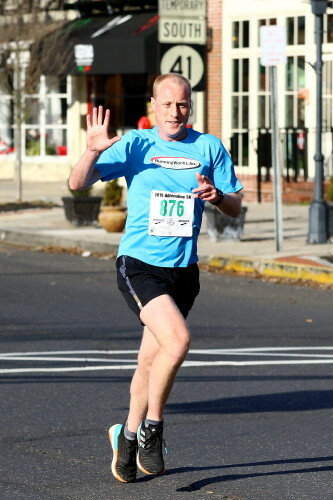 John raced the 5K in 16:32.18 (pace: 5:20), finishing 65th/79 overall. Details at: TFRRS. -- On April 18, 2019, Alums Nick Falk '17 and Matt Smith '18 of TCNJ, traveled to Chester, PA. for the Widener Invitational. Both raced the 5K. 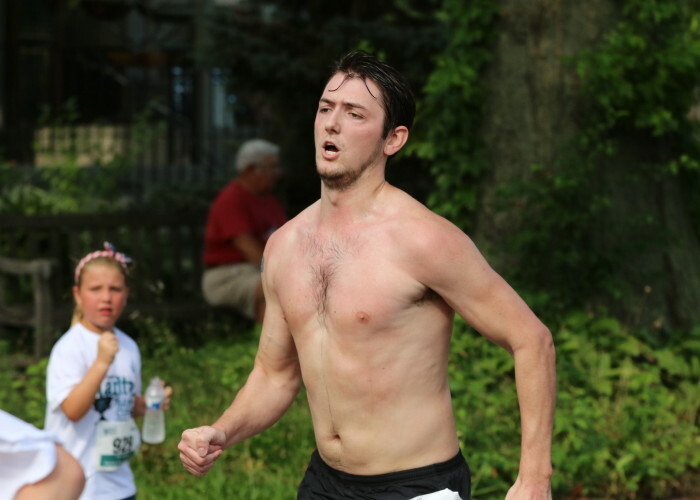 Nick clocked 15.15.88 (pace: 4:55) and finished 16th/79 overall, about 18 seconds faster than his previous 5k in April! Matt clocked 16:46.35 and finished 73rd/79 overall, an improvement over 16:56 run in January. Details at: TFRRS. 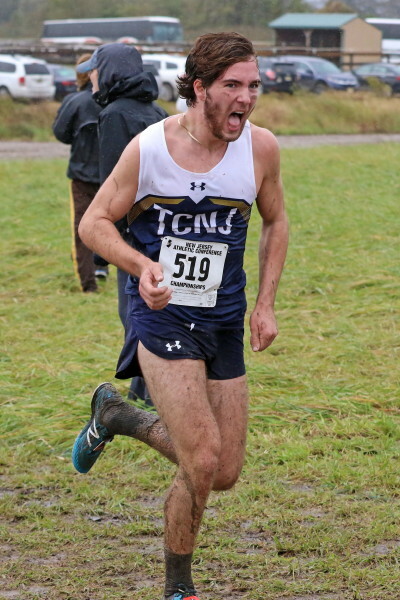 -- On April 19, 2019, Alum Daulton Hopkins '16 of TCNJ, traveled to Chester, PA for the Widener Invitational. Daulton raced the 100m Dash in 11.74, finishing 39th/74 overall; and the 200m Dash in 23.62, finishing 29th/69; and he led-off the 4 X 100m Relay that finished 5th/17 overall in 43.38. Details at: TFRRS. 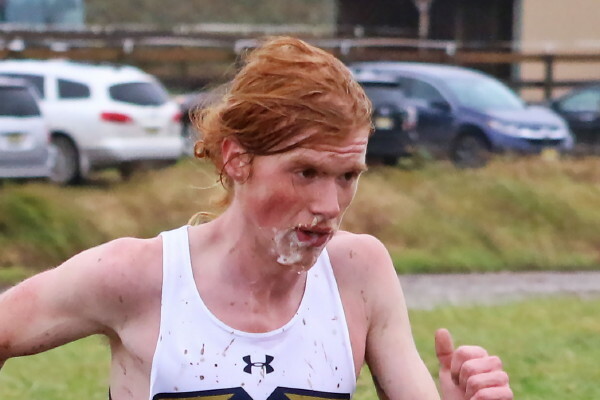 -- On April 19, 2019, Alum Matt Gross '16 of Rutgers University-Camden, traveled to Chester, PA for the Widener Invitational. Matt WON (1st/27 overall) the Javelin with a throw of 56.78m (186' 3"), a nice throw but about 10' off his best throw about a month ago. Details at: TFRRS. -- On April 19, 2019, Alum Kevin Milligan '18 of Xavier University (Cincinnati, Ohio), traveled to Indiana State University in Terre Haute, Indiana for the Pacesetter Sports Invitational where he competed in both the 200m and 400m Dashes. In the 200m, he finished 14th/23 overall in 22.81; and in the 400m, he finished 8th/18 overall in 50.88! The 200m time was his best but it was wind-aided 4.9, and the 400m time was only hundreds of a second off his college best! Details at: TFRRS. -- On April 20, 2019, Alum Justin Kelly '18 of Stony Brook University, stayed at home for the Wolfie Invitational. Justin raced the 5K in 14:59.44 (pace: 4:50) and won the event over seven others! Details at: TFRRS. -- On April 20, 2019, Alum Brandon Marks '18 of Rensselaer Polytechnic Institute, traveled to Williams College in Massachusetts for the Williams Invitational Quad Meet (Williams, Worcester Polytechic Institute, Middlebury, RPI). Brandon competed in the 1500m Run, finishing 6th/23 overall in 4:07.23, a 7-second improvement over his best run in early April! Details at: RPI Athletics.